Presumably refreshed by her late night seances with Commander In Chief and departed husband Ronald Reagan, Nancy Reagan made a triumphant return to Our Nation’s Capital Tuesday. She saw Reagan immortalized in stone at the Capitol, watched President Obama sign a bill creating a Reagan Centennial Commission, and lunched with Michelle Obama. 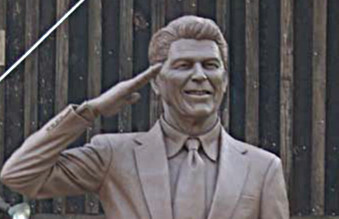 A ‘joyful‘ Reagan knocks out California’s statue honoring Thomas Starr King, credited with keeping California from seceding during the Civil War, replacing it with a memorial to the man who wrecked everything. Reagan’s placement in the hallowed halls is owed to Representative Ken Calvert, previously best known for consorting with prostitutes and jailed lobbyists, so scurvy that even conservative organ Human Events runs best-of hit pieces on him. As a bitter few have repeatedly complained, previous presidential centennial commissions have had broadly representative boards This entity will be a creature of the Reagan Foundation, which will hold the majority of seats. We can look forward to the Regan Centennialists federalising whatever crackpot schemes the Reagan Library cares to put across. Let’s hope for more detail on Nancy’s dinners and dresses, possibly cross-referenced with day-by-day time-lines drawn from his diaries and letters to Nancy. 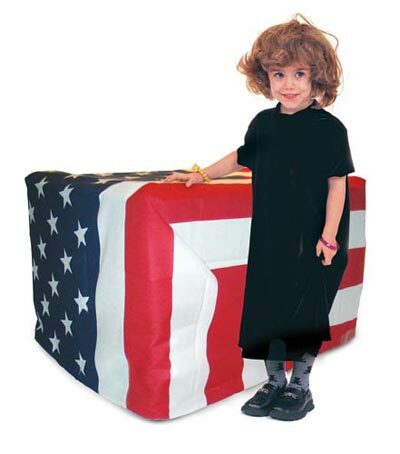 This entry (permalink) was posted on Wednesday, June 3rd, 2009 at 8:00 AM by mr.president and categorized in AMERICAN HISTORY, AMERICAN PRESIDENTS, BARACK OBAMA, HISTORY IN THE NEWS, NANCY REAGAN, PLACES & THINGS NAMED REAGAN, PRESIDENTIAL HISTORIAN, PRESIDENTIAL HISTORY, PRESIDENTIAL LIBRARY, PRESIDENTIAL MARKETING, PRESIDENTS OF THE UNITED STATES, RONALD REAGAN, UNITED STATES HISTORY, US PRESIDENTS, WHITE HOUSE HISTORY.